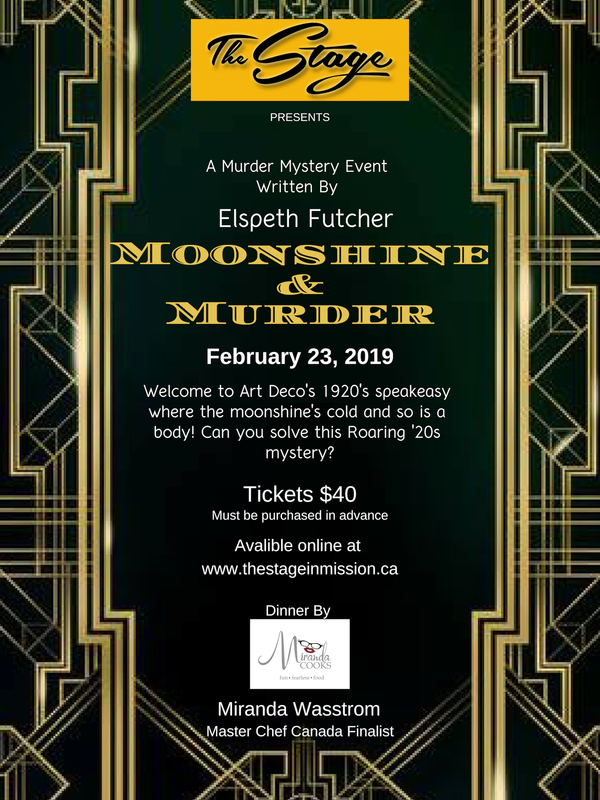 Welcome to Art Deco’s 1920s speakeasy where the moonshine’s cold and so is a body! Can you solve this Roaring ’20s mystery? Gift cards are not valid for ticket purchases. 3 course meal by Chef Miranda Wasstrom Master Chef Canada. Dinner is served during the murder mystery.